What Makes a Good Motivational Speaker ? A good motivational speaker must believe in him or herself. They must be passionate about helping people and treat everyone equally without judgement, attachment or opinions. People feel their energy and within about 15 sec will either trust and believe the speaker or distrust them. The speaker must engage and form a relationship with their audience. From their speech, movement, and veracity they will engage the audience and create a sensation and feeling of comraderie, and trust . Once this occurs massive changes can occur. Linda Nichols and Tony Robbins are prime examples of strong motivational speakers. They have changed the lives of thousands of people for the better. People’s lives have been transformed. They have happy successful lives and created a healthy romantic relationship leading to marriage and followed by children. If you surf through the internet you will found numerous videos about people discussing their alien abduction experiences. You will also discover videos of people discussing their experiences with an angelic presence either in the form of a human or as an ephemeral presence that saved their lives. Therefore this is through my own personal experiences and research concluded. If you had experiences with time shifts and subconscious memories that resurfaced many years later you may have had an alien abduction experience. However are you influenced by society and the various stories that have surfaced or did you truly experience it. That’s where hypnosis and regression therapy must be utilized to either prove or disprove this phenomenon. There are numerous stories of angelic apparitions and miracles that have occurred due to their interaction with the person who was either beset by a unfortunate circumstances or an illness. These situations are based on situations that have immediate miraculous results. There is normally proof that the person who was terminally ill had no medical chance of recovery but through this angelic visitor they were healed and there is medical proof of a full recovery. The tumor is no longer seen on the CT scan or when the person went in for surgery the surgeon could not find any evidence of the cancerous growth that was seen on Cat Scan or an Ultrasound. So based on these phenomenon and the persons rendition of the circumstances and the visitation or abduction I believe that in this vast universe and heaven there are many things which seem strange but are occurring every day. That is why I strongly recommend a spiritual faith and practice. Daily meditation and yoga or martial arts or any other form of exercise that brings you joy will enable you to withstand any challenge or circumstance that occurs in your life. When you live in joy and reflect it out in your life through your expression of beauty and good you open the doorways to endless possibilities and you can process and readjust to any challenge that occurs in your life. How do You Help a Client who Has recently Suffered from the Effects of Physical and Mental Domestic Violence? This topic is very dear to my heart on a personal note. I sustained mental and physical abuse at the hands of my husband. He had a very supportive family whereas I had a distant family. I made a lot of incorrect decisions because of the trauma I had sustained prior to meeting him. Because of that and the natural instinct to protect myself from harm I chose to seek what I thought was love but was actually not be alone and feeling protected. But I had poor judgement based on how I was treated at home and therefore being treated badly was normal to me. Knowing and understanding your client’s plight but not becoming sympathetic and remaining objective is critical in assisting them to achieve an optimum state of mental health and physical health. I did go for counseling at a domestic violence center. It assisted me with being able to express myself and the traumas I had endured both with my husband and in past relationships prior to the marriage. This is what I discovered on my spiritual path: The life activation jump started me and I saw the world around me differently. I was motivated and then with an emotional cord release and removal of negative energies prayer I was able to go beyond my comfort zone . I heard the word magick mentioned in an introduction to the study of the Universal Kabbalah and did not overeact and become opinionated and close minded. I embrace the Tree of Life and decided to study and be a part of the Universal Kabbalah community. Despite the stresses and anxieties from my job and litigation i was able to journey up the tree for next 9 months. I successfully completed that journey despite not fully embracing it and studying it. I would have achieved more had a judiciously studied the Kabbalah as I journeyed up the Tree of Life. an initiate in the lineage of King Solomon . Later on I became a life activation practitioner and healer and teacher of metaphysics. All of this was achieved because I never gave up and just kept on continuing on the spiritual path. I could feel it in my heart that this is the correct path for me take. So from my own personal experience of being a person who survived domestic violence; I can confidently develop a package for these women and men to enable them to go beyond their comfort zone and move forward in their lives and get to know themselves. When we know ourselves we can achieve anything and we need to respect our environment , the air, and plants and animals and treat them with reverence. When you goand do this for yourself , your self confidence soars , you are no longer the victim; you are the conqueror of your negative ego and of memories and things that no longer serve. You can find and have a positive understanding of what life is about. You learn how to achieve what you need and create the kingdom you want for yourself your family and those around you. My wish is that everyone recognizes their regalness, joy, abundance and understand that the Hierarchy of Light and the ONE will never leave but will stand beside you and protect you on your spiritual quest. May the heavens watch over you and may serve and live your life in the light always. We need to take responsibility for our lives and the choices we make. But what happens when our world appears to be turned inside and out. When we’re out of our comfort zone when we have changed jobs and perhaps chosen one that puts us out of our comfort zone. We worked for years in a profession run by a corporation or an institution and decide to work for ourselves. This can be very difficult as now we have to set and organize our days. We are just doing the same thing from day to day. We have to set our schedule and determine how to become known and successful. We are running our lives and cannot be affected by temptation . In these circumstances we need to perhaps learn new skills and take courses that will enhance our skills as an entrepreneur or we may need to hire a life coach. It is always best to be accountable not to ourselves but to another person who will lift us up when we’re down and will offer realistic advice on how to achieve the goals we want to accomplish. We need to choose wisely and develop strategies that will enhance the business and assist us with our goals. Therefore establish a set schedule and a regimen that will assist us in staying focused with our work and business. Then we can more easily manage and attain our goals. Blog 26 How to Develop Your Psychic Intuition ? Believe it or not all of us have psychic abilities. Some people are born with no veils meaning they are not affected prior to birth from having the gift of sight or hearing and may have premonitions of events prior to them occurring . But what about the average person that does not have the gift of sight or hearing or foreseeing. The Modern Mystery School actually teaches a course entitled How to Develop Your Spiritual Intuition. Basically in this course you learn to apply exercises that develop your hearing seeing and ability to trust your inner guidance. You learn how you become the captain of your ship and do not rely on soothsayers or psychics for answers to questions about your life and how achieve your goals. You are provided exercises that actually allow you within about 3 months of time to have increased each ability by 10%. Did you know that we only utilize about % of our conscious mind and about 85% is operated by our subconscious mind? I cannot provide you with this information in this blog but can recommend that you attend the workshop when it’s available in your area. I can guide you to observe what is around you and to test your senses . Look closely at your surroundings and then try to recall the placement of certain objects or things in that area. You will be surprised at how quickly you can expand your consciousness and what is all around you. Your world will expand. Also playing chess, Sudoko puzzles and the rubric cube assists to expand your consciousness. As you enhance your skills you may attract more abundance and the people that will enable you to achieve your goals. Exercise is also a means of increasing our blood supply and also assists us in the transmission of electrical stimulations to the brain and also enables the messages from the neuron to the axons to move with ease and transmit it throughout the brain and into the CNS . Exercise enhances our cognition, leads to brain rejuvenation and prevents the effects of aging on the brain. A study was done of nuns in a convent and they consented to be part of a study on the effects of Alzheimers’ on the brain. They also agreed to have brain autopsies performed on their corpses post mortem. One of the sisters was aged 87 and was totally spry and quick witted and spent every evening doing crossword puzzles and playing chess and checkers with the other older sisters. Upon her death it was noted that even though her brain showed evidence of Alzheimers her activities that enhanced her brain capan iin capacity and ability to communicate and remember things. Being outdoors and enjoying the sunlight increases melatonin production and also the production of Vit D3 . With the increased production of melatonin the person is able to sleep soundly , be calmer and maintain a positive attitude . Vitamin D3 also assists with a positive attitude and also maintains supple bones and as one ages the possibility of broken bones or hip and knee problems is lessened. Reading a book and engaging in activities that peak one’s interest and imagination in life also assists the brain to stay young and free of diseases that diminish the brain function as one ages in life. Therefore barring any accidents or other injuries in life we can maintain good cognitive function and enhance it and achieve a very rewarding and fullfilling life up to and including our elderly years. Blog 25 What is Agape Love ? AGAPE LOVE the love Christ has for all. He loves all of us despite what we may have done in our lives. The Kabbalah teaches us to aim high and to be truly free of all that does not serve we are not ruled by our emotions or feelings but in a very spiritual way. You may not like somebody but you can love them. You set boundaries and don’t let people walk over you and become a martyr or a victim. You recognize the divinity within yourselves and everyone around you. Your outlook on life changes and you move about free of attachments and now move with an ease and grace that you can do anything and can be anything that you want to be. You also recognize your divine purpose and pursue those things that enable you and assist in your achieving your divine mission on earth. For some it is to be a healer : you pursue a degree in medicine or in nursing or another aspect of the healthcare profession. For others you may seek to be limo driver . You enjoy driving people to their destination and speaking with them. I have experienced that when I use agape love in my healing work and I feel the presence of Angels and of Christ as present during this work. None of this is easy and the more free choice one has the more difficult are the temptations presented before me . Why is this ? I believe that it is easy to be negative and to just follow our carnal desires. To lead a holy and exemplary life is difficult but I have found that utilizing the tools provided to me by the school enables me to perform these tasks and enable to do this work . From early childhood I have experienced the presence of angels. Angels can come to us in many forms such as : protectors warriors, healers, teachers, and mediators between our moving across the veil. Here are some of my encounters : I was in a very dangerous situation I was dying and was 7 yrs old from scarlet fever. I clearly recall the doctor in Italy stating in Italian she’s going to die . My mother decided to nurse me at home as I was dying. My mother nursed me but contacted many relatives in the US to pray for my recovery. Well what happened was I recall myself out of my body and looking at the bed and hearing a being to the left of me staying you can stay or you can go your choice. I decided to stay and was given the highest dose of a drug to combat that disease. Miraculously at no point in time was I hospitalized for the scarlet fever. I met a very dangerous man through someone who worked in the hospital I worked in. What occurred was he suffered from PTSD and also was partially psychotic from his experience in Vietnam. He also later on I found this out suffered from the effect of Agent Orange. Well one evening he decided to scare me and appeared to be sleeping but suddenly some creature appeared. I could hear and feel it but could not see it. It sounded like a hound of hell. All the kittens and cats he had in the house jumped onto the roof to escape this thing. I kept on trying to awaken him and he wouldn’t awaken. The thing came over to my left side and as it was about to touch me I was yelling out the prayer ” The Our Father ” . Suddenly I saw a sword coming from the window and shining brightly and as it did the thing seemed to be sucked up by the sword . The energy of the entire room grew peaceful and the cats and kittens came back inside. Another time I experienced something strange … a friend wanted me to take their black female dog named Missy . Well I could not take her with me as my super did not allow pets in the apartments. So that night I awoke in a start and saw the dog staring at me with blood red eyes . Something told me she was dead. Sure enough the dog wasn’t on my friend’s property and someone stated he had taken the dog for a walk in the woods and heard a gunshot and never saw the dog again. I believe my angel wanted me to realize the danger I was in and that is why the dog appeared in my dream. I was driving home one night and had a flat and it was 1 am and I had to be at work at 7am. I was walking down a bridge and this man kept on stopping trying to pick me up and I said no I’m fine thanks. II prayed to St Michael the Archangel and asked for help I was in fear for my life. This man had a strange box alongside him. Suddenly a state trooper pulled up behind me he was absolutely handsome blond hair blue eyes steely and a glow all around him and he asked me what ‘s going on he called for a tow truck to help me out and asked me and I told him about the strange man and my fear that he was dangerous. Suddenly the officer called in for back up and drove as fast as could be. Well as I was driving back once the tire was repaired I saw a few miles up the road what seemed like a group of people looking at something which looked like the that car was empty and the state trooper was no where. I still believe to this day that was an angel who protected me at my time in need and assisted me in being able to drive home and be at work at 7am. I could continue to cite many other experiences and have learned a lot in the study of the Universal Kabbalah as taught by the Modern Mystery School. All I can say is that we need to discern good vs evil and discern good angels from others. Choose to believe or not believe the choice is yours. I believe that we are eternal spiritual beings living in a physcical body to experience life in this physical dimension and reality. Stop. Breathe. Let everything go. 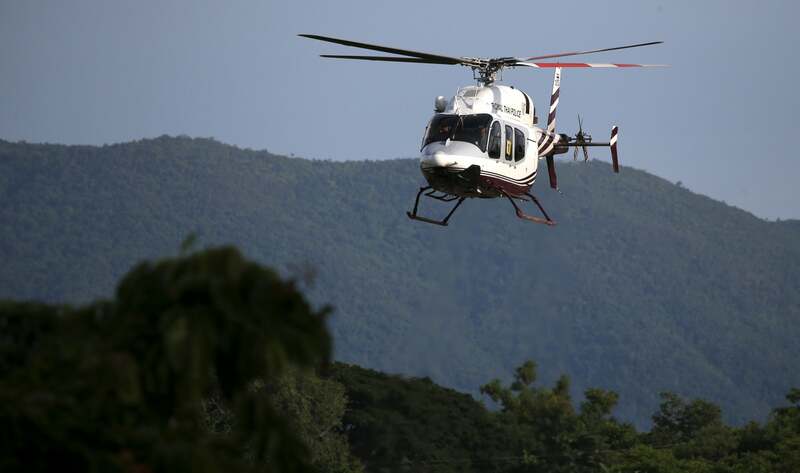 That approach appears to have been a technique used to help keep 12 boys and their football coach alive for more than two desolate weeks of being trapped in a flooded cave in northern Thailand. 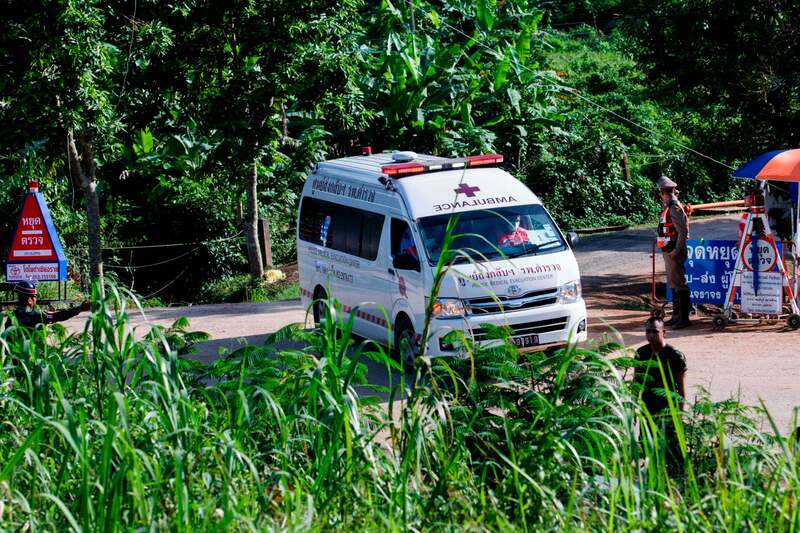 All 12 boys and their coach were rescued this week by a team of Thai navy SEALs. 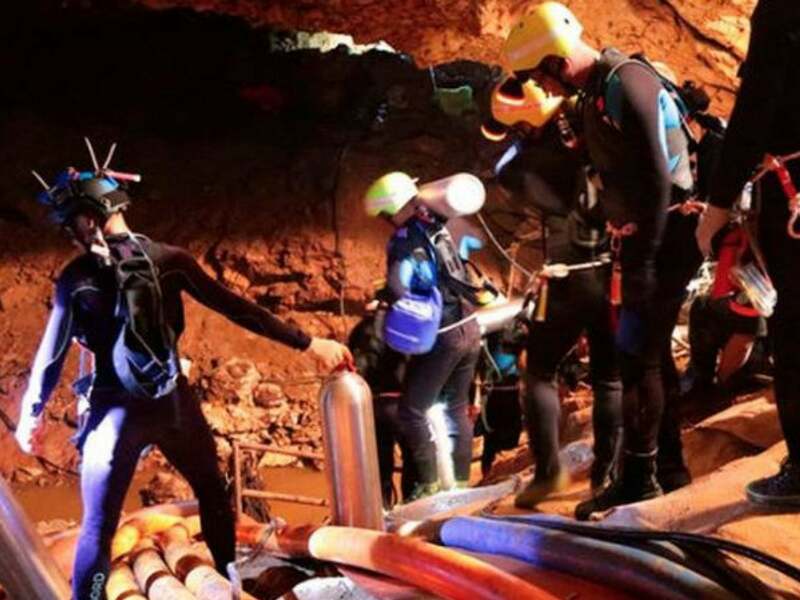 The 11 to 16-year-old football players and their coach, 25-year-old Ekapol Chanthawong, were exploring the cave after practice on 23 June when it suddenly flooded because of heavy rains from a monsoon. A pair of British divers found the group 10 days later. Instead of screaming or crying, the group was sitting quietly in the dark, meditating. Chanthawong, who’d spent a decade as a Buddhist monk, could meditate for up to an hour at a time, his aunt told The Associated Press. Reports suggest he helped guide the boys in the practice when they needed it most. Meditation is known to have a host of health benefits and may be uniquely suited to help people cope with extreme stress. Several studies have found links between meditation and an immediate, measurable reduction in feelings of depression and anxiety as well as physical pain. It also appears to help us turn the volume down on the intensity of nearby disturbances, whether it’s a cacophony of car traffic or the crash and whirl of powerful monsoon waters. For a long-term study published in the journal Emotion in 2012, Richard Davidson, a neuroscientist at the University of Wisconsin, looked into the idea that meditation might help us cope with outside disturbances. He found that when he tried to startle two groups of people — one that was meditating and one that was not — with a sudden interruption like a loud noise, the meditators were far less perturbed than the people who weren’t meditating. Those results were true regardless of whether the participants were new or experienced at the practice. 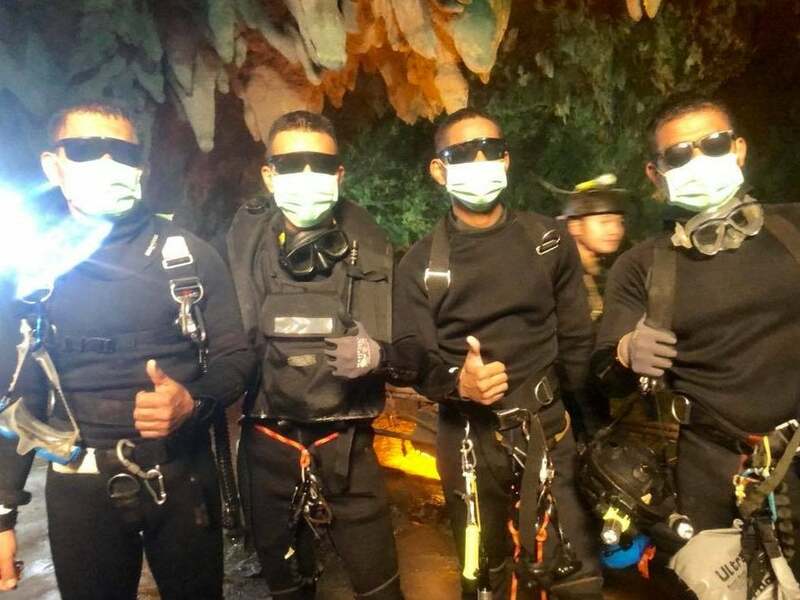 That benefit of meditation could have proved hugely helpful to the Thai players, who were cold, scared, and alone more than 2 1/2 miles deep into a labyrinthine cave network. Additionally, meditation may be linked with heightened feelings of empathy, another key asset for a small team of isolated people who need one another to survive. In a follow-up analysis, Davidson played the sounds of stressed-out voices to groups of experienced and novice meditators, then observed their brain activity patterns in an MRI. He noted increased activity in two brain areas known to be involved in empathy among members of both groups but found that activity was significantly more pronounced in the brains of the experienced meditators. These results suggest that, given enough time, people who meditate regularly might have an enhanced ability to respond to others’ feelings and empathise with them without becoming overwhelmed, Davidson concluded. A growing body of research on meditation also suggests that even a few minutes of daily mindfulness is linked to lower stress levels, more positivity, enhanced creativity, and even better focus. Something about meditating seems to help people deal with worrisome thoughts. It’s somewhat like taking a broom to the bustling thoughts that can crowd our heads and waiting until all the dust has settled. All those benefits likely drew Chanthawong to the practice – and helped keep his team alive. “We are not sure if this is a miracle, a science, or what,” the Thai navy SEALs wrote on Facebook on Tuesday, after the rescue was complete. Blog 12 What is kindness and how does it affect our state of being and influence the world around us ? ” Kindness is defined as the quality of being friendly, generous, and considerate. Affection, gentleness, warmth, concern, and care are words that are associated with kindness. While kindness has a connotation of meaning someone is naive or weak, that is not the case. Being kind often requires courage and strength. Kindness is an interpersonal skill.” Karyn Hall PH.D. ” Pieces of the Mind” 2017. Imagine that one day on your way to the local coffee shop you see a homeless man/woman sitting close to the front of the store he/she has a small bowl and you see a couple of pennies in the bowl. You approach this person and ask him/her if she /he would like to get something to eat and drink. They say yes and the two of you enter the coffee shop . You ask him/her what they would like to order and they say a cup of black coffee and a sandwich. You ask them what kind of sandwich.. you see how emaciated and unkempt they appear to be and you order something substantial to eat. As you do this the person behind you is impressed by what you’ve done ; so they ask this homeless person if he’d she’d like a dessert. The homeless person says yes and they buy him a chocolate chip cookie. Then in turn the waiter ‘s super is present and says as you’re about to pay for this meal . That’s ok its on us. The man/woman who paid for the homeless person’s cookie now leaves the store and is late for his bus to the airport. He/she is upset and doesn’t know what to do . A man who left walking behind from the coffee shop sees and asks him/her what’s up and he says to him I’m a limo driver and on break right now . I can call this in and give you a ride to the airport. The limo driver drops him/her at the airport and helps them with their baggage . The man/woman safely reach their gate . The limo driver goes back to the limo and he/she is doing so someone catches his eye he sees a child crying who is lost and can’t find his/her mother. the limo driver takes the child to the airport security and they announce over the speaker the child’s name and his/her mother comes rushing to the security officer and the mother is reunited with her child. She offers the man a reward of $100 which he/she declines on taking but she insists he/she takes it. The limo driver drives off to pick up another passenger and his/her day continues on and he/she feels joyful. In the meantime the homeless man / woman walks out of the coffee shop to see about two doors down a charity event being offered by a hair salon. Free haircut and style and shave for the first 10 customers. The homeless man /woman goes into the salon and the hairdresser not only cuts and styles their hair but also dyes it . The Man/woman look totally transformed and the hairdresser offers this man/woman a set of brand new clothes that she was going to bring to a thrift shop. The clothes fit him/her perfectly and he/she exit the salon looking totally different. Across from the hair salon there’s an unemployment office and they decide to try their luck at getting a job. They get an offer for a new job and the unemployment employee refers them to social worker who is able to find them housing under a special program. This scenario could go on and on because everyone who was in the coffee shop that day was affected by this act of kindness and in turn they extended it to those whom they encountered that day. It would be awesome if everyday we saw this happening and were part of this acting with kindness and respect for all the people and creature of the earth that we encounter. May your days be filled with love, abundance, joy , laughter and hope and kindness !!! !